GOOD FOOD. GOOD WINE. GOOD PEOPLE. GOOD TIMES. 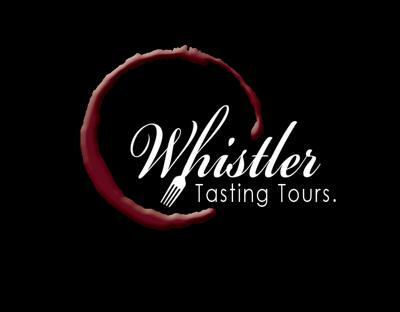 Whistler Tasting Tours is the newest MUST DO in Whistler. We lead pleasant walking tours through the village, visiting several gourmet restaurants to sample delicious culinary creations paired with fine BC wines. It is often difficult to get quality, unbiased recommendations in an unfamiliar place. It was this that inspired the idea for Whistler Tasting Tours; a great way to try some of the best dining Whistler has to offer in one enjoyable evening. We have two tours that each visit FIVE restaurants. On the Whistler Tasting Tours Apres-disiac Tour we visit The Mallard Lounge (in the Fairmont Chateau Whistler), Bearfoot Bistro, Hy's Steakhouse, Kypriaki Norte, and The FireRock Lounge. On the Whistler Tasting Tour Privileged Palate Tour we visit The Mallard Lounge, Elements Urban Tapas Bar, Apres Restaurant, Quattro, and The Mountain Club. Whistler Tasting Tours serves wines from all over BC: Sumac Ridge Stellar's Jay Brut, Prospect Pinot Noir, Prospect Sauvignon Blanc, Sandhill Pinot Blanc, Mission Hill Five Vineyards Cabernet Merlot, Inniskillin Riesling Icewine, Nk'Mip Pinot Noir, Inniskillin Chardonnay, Peller Estates Merlot, Prospect Vidal Icewine and Whistler Beer. Join in and write your own page! It's easy to do. How? Simply click here to return to Invitation 9 Business Story.